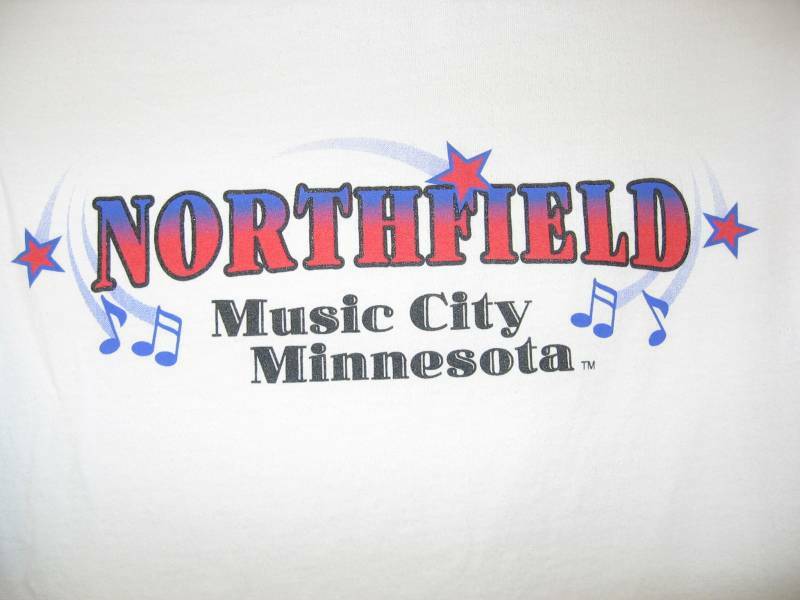 Have I mentioned that I once bought a t-shirt from Bob Jacobsen that proclaims “Northfield Music City Minnesota”? Well, although we make a strong argument (pound for pound) every week, the annual JuneBug Festival of Music offers an extra-compelling case. Thursday, June 23rd: Junebug Festival of Music: Sweet Jazz, 5:00 to 7:00 p.m., Counterfactuals, 8:00 to 10:30 p.m., and Fish Frye, 11:00 to 12:30 p.m., Contented Cow, Karaoke, 8 p.m., 620 Grill, and Alison Rae, 8:30 to 11:00 p.m., Tavern Lounge. Friday, June 24th: Junebug Festival of Music: Occasional Jazz, 5:00 to 6:30 pm., Toaster Fork!, 7:00 to 8:30 p.m., Area 51, 9:00 to 10:30 p.m., and RCAs, 11:00 p.m. to 1:00 a.m., Contented Cow; Jacob Hendrick and Ah-Hem, 8:00 to 11:30 p.m., Tavern Lounge, and Karaoke, 9:00 p.m., Rueb’N’Stein. Saturday, June 25th: Riverwalk Market Fair, 9:00 a.m. to 1:00 p.m., Cannon Riverwalk; Exhibit Opening Reception: Art in Bloom, 1:00 to 3:00 p.m., Northfield Arts Guild; JuneBug Festival of Music: Carey Langer, 1:00 to 2:30 p.m., Marty Anderson & the Goods, 3:00 to 4:30 p.m., Shoot Lucy, 5:00 to 6:30 p.m., Taylor Baggot Blues Band, 7:00 to 8:30 p.m., Beguine Brothers, 9:00 to 10:30 p.m., and Gospel Gossip, 11:00 p.m. to 1:00 a.m., Contented Cow; Your Friends and Family, 8:00 to 11:30 p.m., Tavern Lounge; and D J Music, 9:00 p.m., Rueb’N’Stein and 620 Grill. Sunday, June 26th: Politics & a Pint, 6:30 p.m., Northern Roots Session, 7:30 p.m., and Quiz Night, 8:00 p.m., all at the Contented Cow.